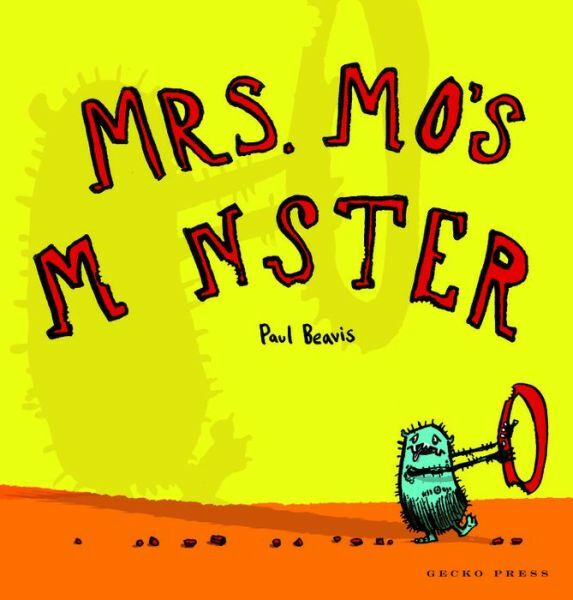 Mrs. Mo answered a knock at the door when in ran a monster who really liked to “crunch, munch, and chew.” After a comment from Mrs. Mo about how rude it is of the monster to not even say “hello” (“How rude.”) she goes off to find the monster eating a paintbrush. After assuring Mrs. Mo that he doesn’t paint the monster runs off only to eat something else in the house. Finally, after all the munching, crunching, and chewing is done that can be done, the monster decides to go back and see what Mrs. Mo is up to. And with patience that is almost equivalent to that of a saint, Mrs. Mo shows the monster how to do various tasks. Of course the tasks end up putting together a nice surprise for Mr. Mo (who started the book outside gardening). When another knock comes to the door, readers will delight at the response of the monster when children come in without even a hello. “How rude.” This is one of those books where children and youngsters who don’t always understand manners and how best to be polite will enjoy seeing how the monster changes and discovers just “how rude” others can be (even though he was just as bad to begin with). And not only that, children will enjoy saying “how rude” to others when other manners aren’t quite up to snuff (even if that might be a bit “rude” in and of itself). February 23, 2015 in book review, elementary school, picture books, preschool.